President Donald Trump has identified the remains of two American servicemen who were killed during the Korean War and whose remains were returned by North Korea two months ago following Trump’s summit with Kim Jong Un (kim jawng oon). Trump tweets that the remains include those of Charles H. McDaniel, a 32-year-old Army master sergeant from Vernon, Indiana, and William H. Jones, a 19-year-old Army private from Nash County, North Carolina. The Pentagon has also confirmed the identities. McDaniel’s name had been made public last month because his military identification tag was among the 55 boxes of remains that North Korea turned over on July 27. Thousands of additional remains are believed to lie on North Korean battlefields and at former POW camps. A senior Pentagon official says the U.S. hopes to begin face-to-face negotiations with North Korea next month on terms for resuming on-the-ground searches in North Korea for remains of American servicemen. The official, Kelly McKeague (Mac-keg’), tells reporters the aim is to begin searches next spring if agreement can be reached on areas of dispute such as the kinds of amounts of compensation to North Korea. 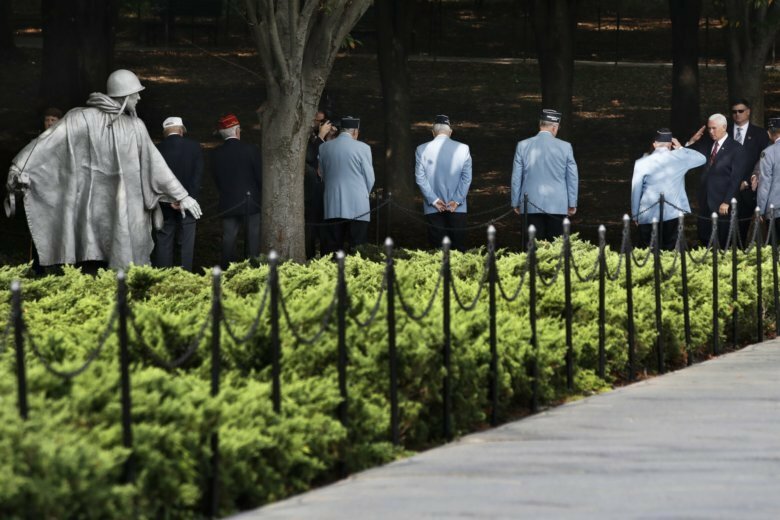 McKeague is director of the Defense POW-MIA Accounting Agency, which is responsible for recovering and identifying remains of U.S. war dead, including the thousands unaccounted for from the 1950-53 Korean War. McKeague says the remains of two U.S. servicemen returned by North Korea in July have been positively identified, but he would not disclose their names, saying the White House wants to do that.